For all my peeps that love Twilight and own an i-top tool. here's a fun download for you today. Team Edward and Team Jacob badge/button copy. You can make a whole bunch for your friends and let them pick which team they're rooting for!! How could I possibly resist posting about Twilight on this special day? You see for those of you have been dead or simply don't care, this is the day I get to go see Eclipse. It's the 3rd movie in the Twilight Saga. Of course having read the book all twice I already know what happens, but I have to say this is on of my favorite ones out of the entire series and I'm very thrilled for it. I was even more thrilled when I scored tickets for me, a friend, my daughter and her friend for a private premier showing at 6:00pm rather then having to go see it at midnight. Did you know here in Utah that we sell more tickets the first day/night then anywhere else?? Go figure?!! I had so much fun playing with my Gypsy & Cricut this weekend. Oh and my yummy i-rock tool and bling from Imaginisce. Here's a couple of elegant cards, but you need to click on them to see the gorgeous detail on them. The wreath and border were cut from the Cricut Holiday Cakes Cartridge. I couldn't pass blinging them up with my i-rock tool. I also used one of the Cuttlebug Embossing Folders (polka dots) to create the dotted pattern on the black core'dinations cardstock and then sanded off the tops of the dots and edges of the paper to reveal the white core of the paper. I believe the straight pin with the crystal at the end is from Maya Road and the ribbon from Creative Impressions (but I've had this for a while and it's not marked). A lot of you have asked me more about the i-rock heat set gem setting tool from Imaginisce and I thought a short video from my friend Erin Bassett would explain it better. I thought I'd share a couple of things I've learned recently from the men in my life. You might totally relate!? Did you know that there are mathematical formulas that you can use to solve a rubix cube?? 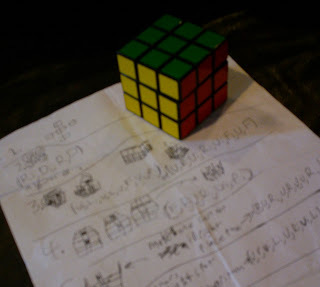 Here's a picture of the cube and my 15 year old's notes on how to solve what I always thought was an unsolvable puzzle. In fact, the only way I thought you could solve these toys from my youth was to either remove the stickers and replace them in together OR pop the pieces out and put them back in the correct order. Go figure! My son has solved it quite a few times...but not after writing up his notes, watching some YouTube videos and reading some websites. And I thought he wouldn't be using his brain now that it's summer! Provo Craft Cricut: Vinyl Obsession!! I was a bit intimidated at the idea of cutting my own vinyl with myCricut Expressions. But I received some sample vinyl and thought I'd give it a try. HOLY COW...I am hooked. It's super easy to cut out vinyl...just like cutting cardstock on your Cricut. But then you simply peel away the excess vinyl. Cut apart your words or images and then use the transfer paper to pull it off and reapply it on your walls, frames, mirrors, jars, windows, etc. If you want to remove it and it's stuck, simply heat it up with your hair dryer and peel it off. Oh now I need to go buy me EVERY color and you better all watch out...you're getting personalized gifts for your birthdays!! Check out a few things I made...I have more, but these are the ones that are photographed. 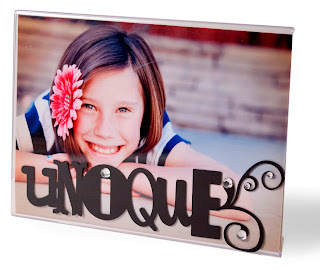 "Unique" wordart is from the Wall Decor and More Cricut Cartridge. I then used my i-rock tool and clear rhinestones to add a little more unique bling to the acrylic frame. Most of you that read my blog probably already know about the fabulous Teresa Collins...love her! Love her creative talents too. Well the other day she was on Good Things Utah and I missed it...so I went searching and found the segment on their website and thought I'd share it with you all here. She's also posted some great step-by-step instructions on her blog for these flowers too (since they never zoom in close enough on the show to see up close...my opinion at least). 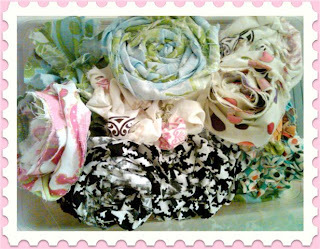 I hope you try making some of these yourself...I am hoping to find a little free time this week to give it a try. I am very excited to announce that I'll be teaching at Creating Keepsakes Scrap & Play event October 15th & 16th in Provo, Utah. They held this new event this spring and it was a huge hit! I'm thrilled to be part of this and teach all the great scrappers how to use the i-top and i-rock tools!! Oh and even more excited to be teaching along with Margie Romney-Aslett...we are going to have a ball! I'm even more thrilled that me and my cohorts will be staying to crop & party ALL NIGHT (and day) LONG too!! Yes I admit it, out loud and for all the world to read...I really do hate Fathers Day. All the advertisements, television shows and people in general constantly talk about Fathers Day. All this day reminds me of, is the failing hope and unrealistic expectations I have always had for my father and me. My week is completely messed up so I decided to move things around a bit to better manage my time. So today you're getting my Favorite Finds post early...I tried to include as many unique Fathers Day gift ideas as I could round up!! And with Father's Day this weekend...I figured the more time I have you to try out any of these ideas the more you'd like me!! 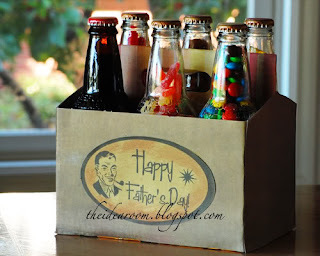 Retro Candy-Filled Soda Bottles The very talented Kristine McKay has a great post with some very unique Fathers Day gift ideas on her website. There's even a television segment from when she showed off these ideas. The best part about Kristine is that she also gives you free downloads for all her printables!! Manly Way to Hang Pictures Loved this creative idea that I saw over on Creative Home Arts Today's website. They actually are teaching how to make the cute canvas pictures wtih postcards but I liked the belts for the frames better. You all know me, I love scrapbooking. But even more then the act of scrapbooking I LOVE collecting scrapbook products. In fact, I read somewhere about "collecting"...and I need to share that quote with you right now. "One thing that I've noticed about purchasing anything in excess is that it becomes much more acceptable when it is something that you "collect". Basically, "collect" is a free pass to buy as much as you want of something and not get in trouble with your husband. So, I am hereby declaring myself a...collector scrapbook and paper crafting supplies!!!" 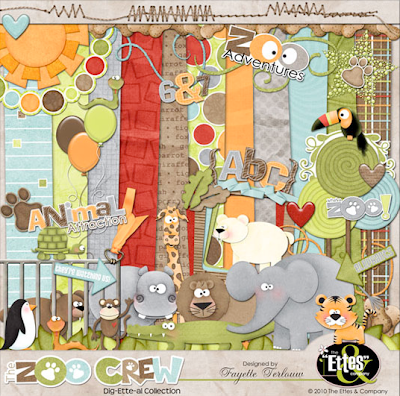 The Zoo Crew Digi Kit The very creative Fayette Terlouw's from Ettes & Company created yet another DARLING collection now available in their online shop. How she has time to create so many great designs?? In fact, I think her son is leaving on his mission next week...so support the girl and go buy lots of her cute kits!! When I get something created with this digi kit I will post it here.